This cracks me up! It is a project by JAJA Architects exhibiting at DAC that explores fourteen architectural based scenarios of how people and pixies aka 'Nisse' (Scandinavian elfs) co-exist. 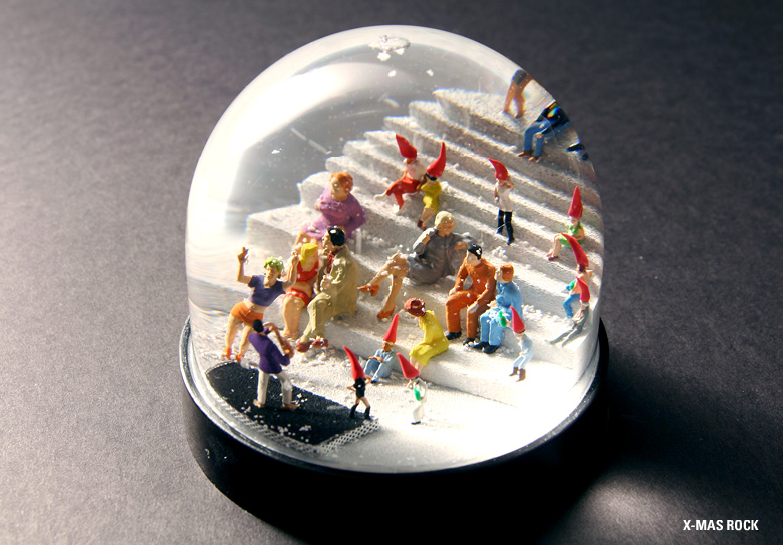 All in the form of snow globes, haha. See them all here. that last one is really nice! My mom would probably want each and every one of these -- they're so cute! I just met your blog and I already love it. It's really lovely. Oh so pretty. 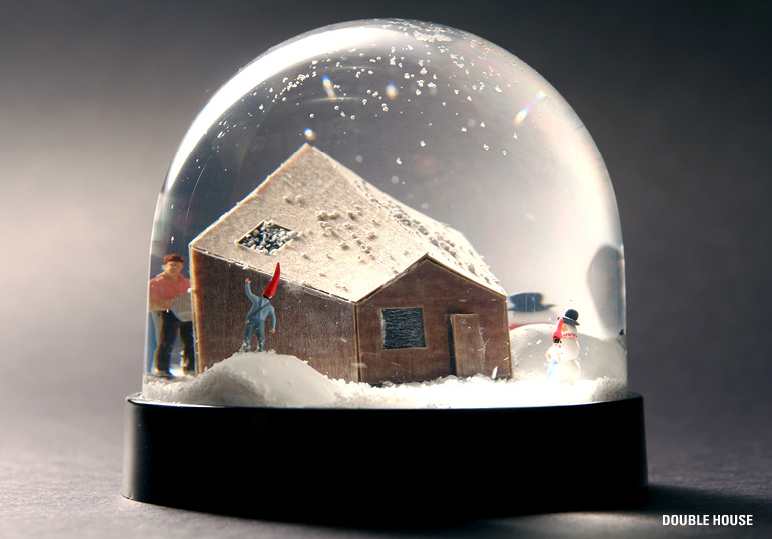 I love snowglobes - and hate the fact they have been neglected over the last several years. A mantle of snowglobes in a mix of posh and tacky are my cup of tea. Great find. These are so cute! I love the second one. 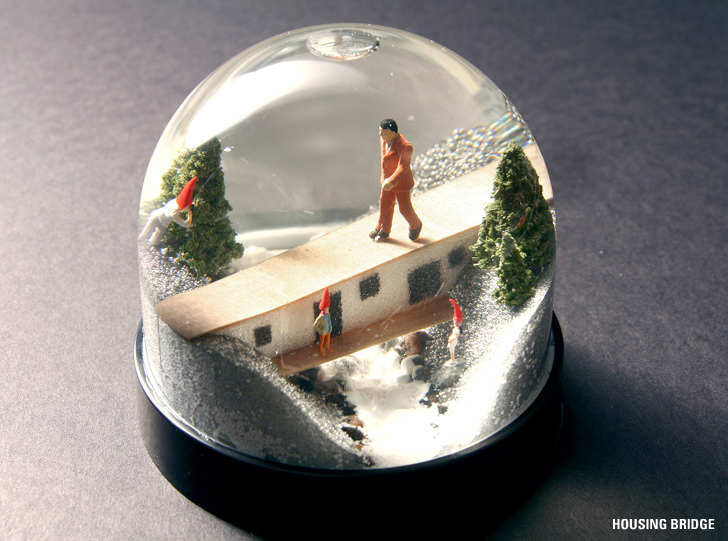 Snow globes are so magical! Just lovely! these are really nice! Like them a lot! Great!